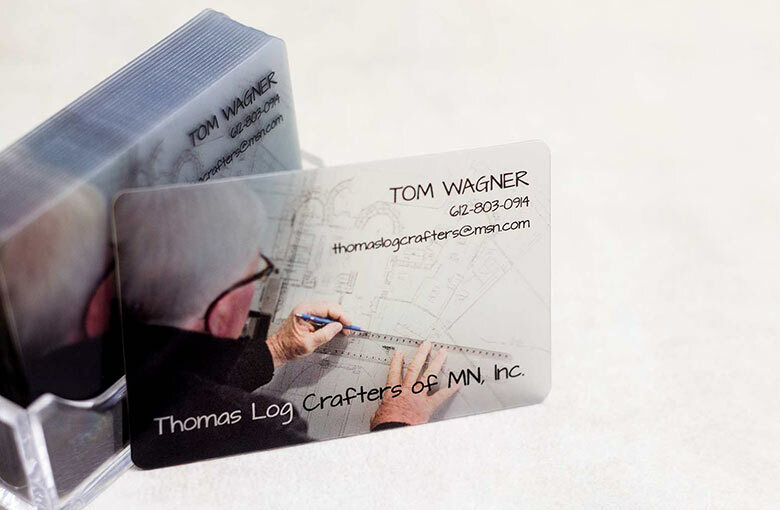 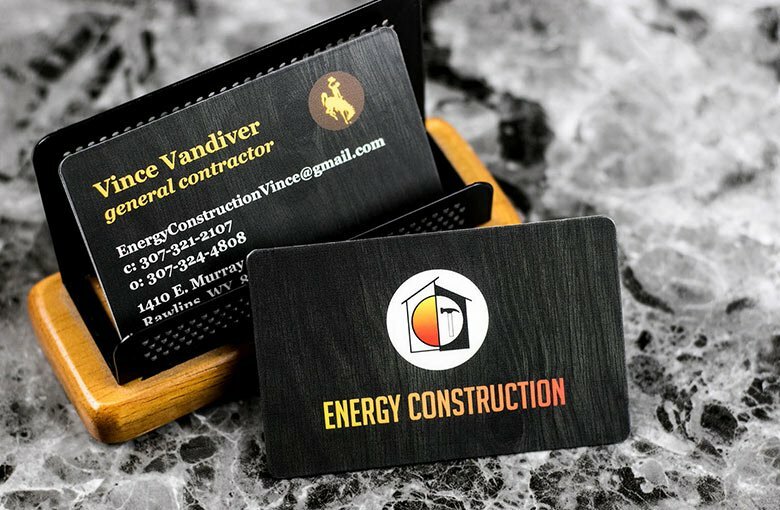 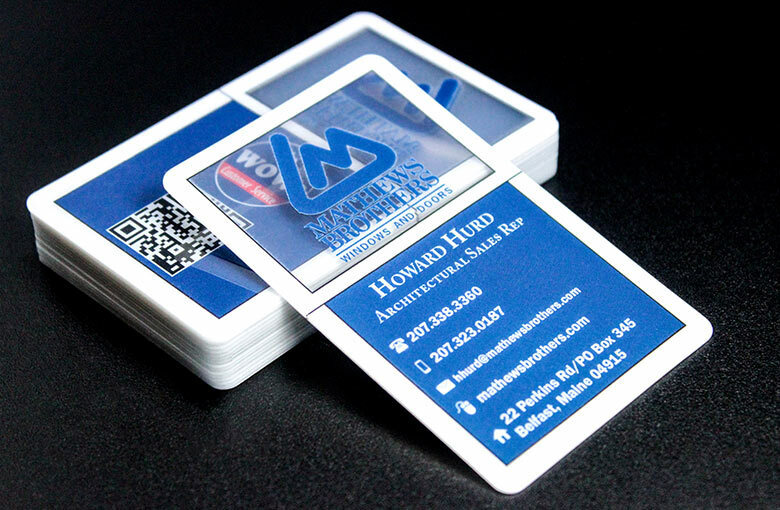 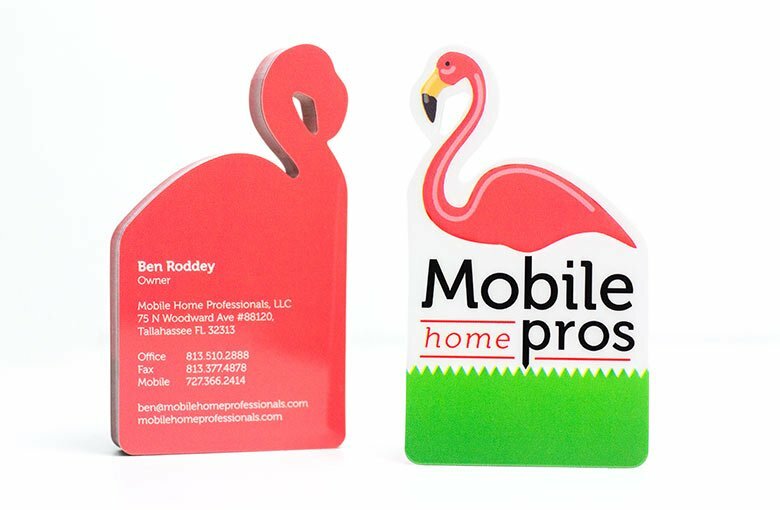 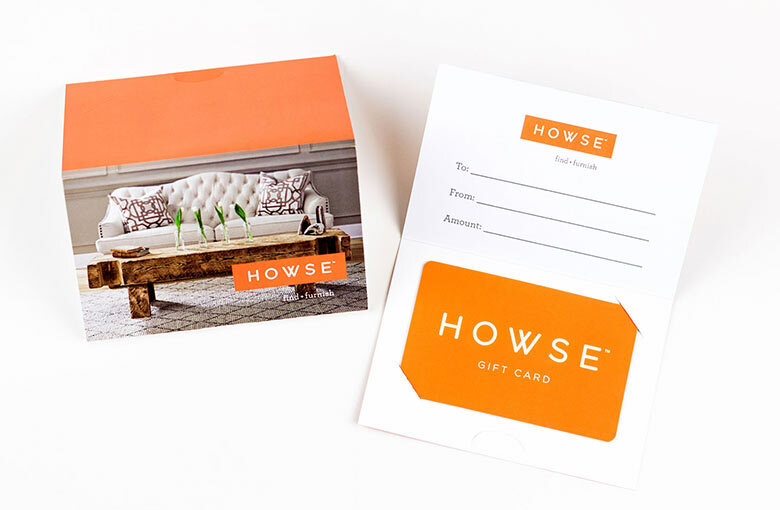 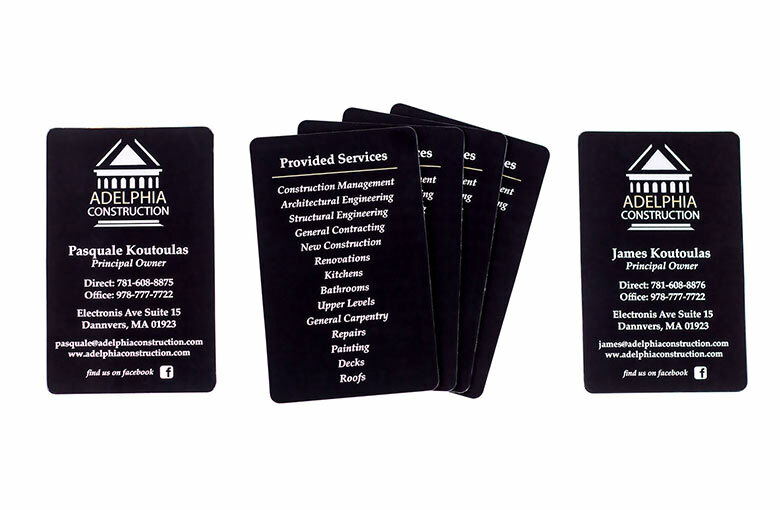 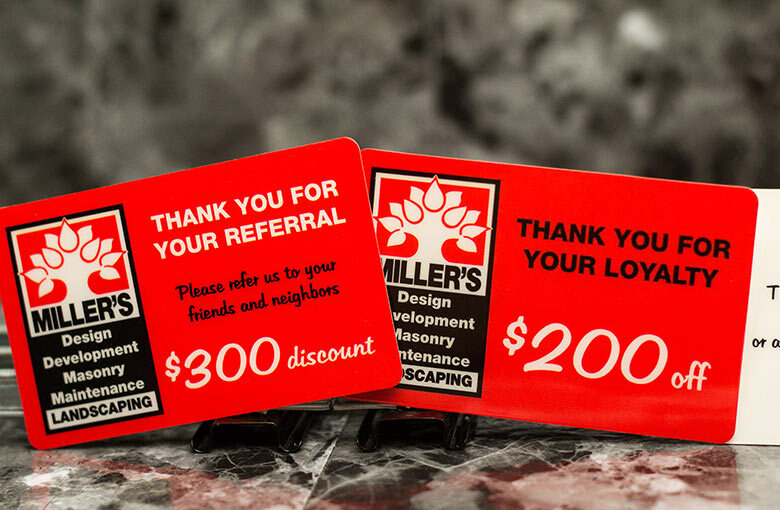 Need business cards that will stand up to a day on a job site? 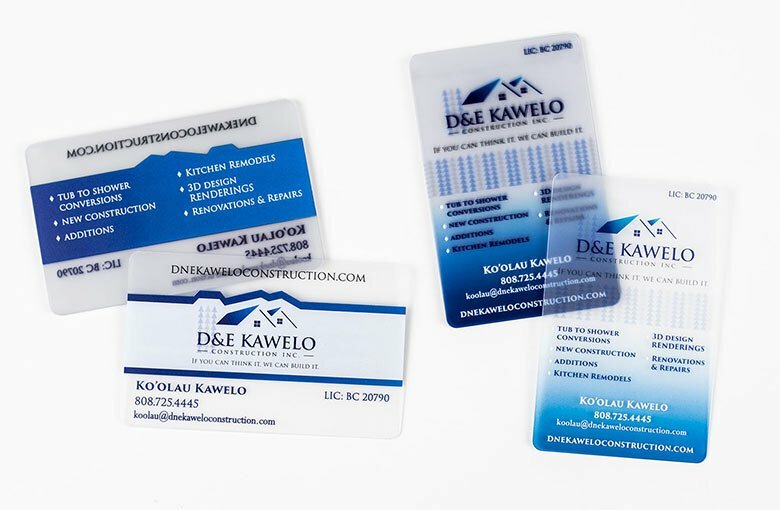 Let’s talk about creating unique plastic business cards for your home service or construction business. 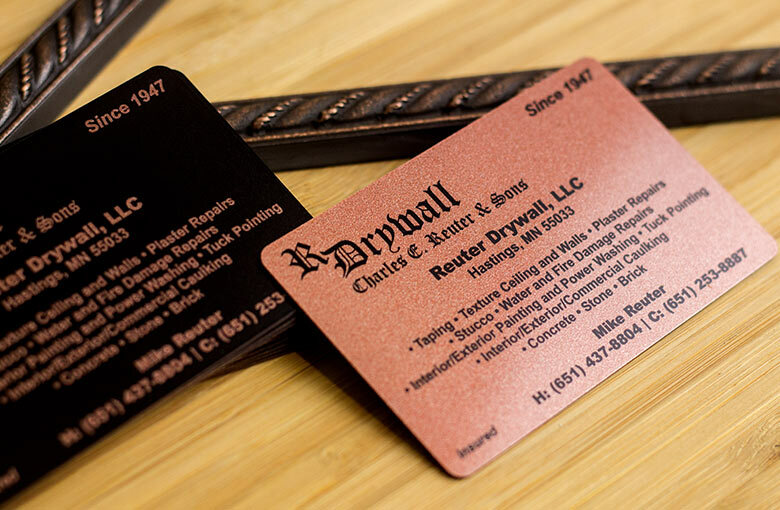 Let us help with marketing your construction or home service business. 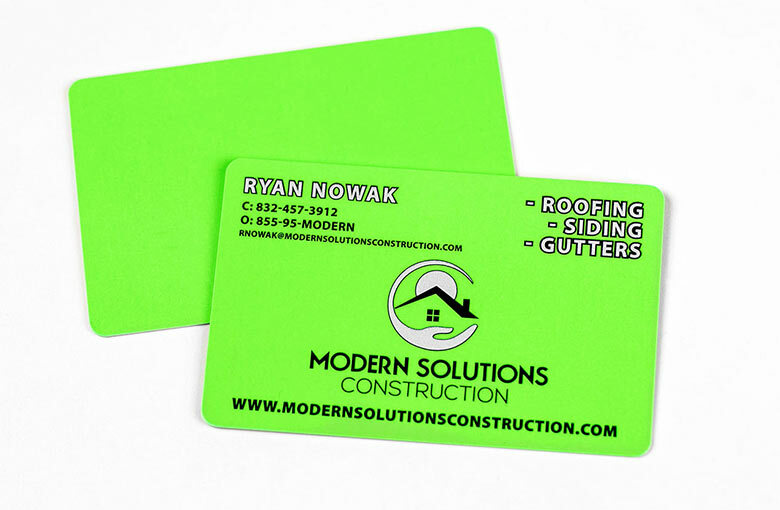 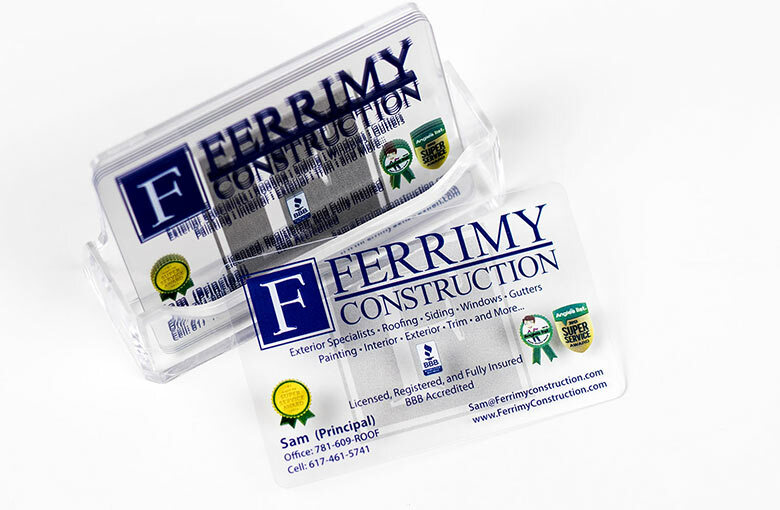 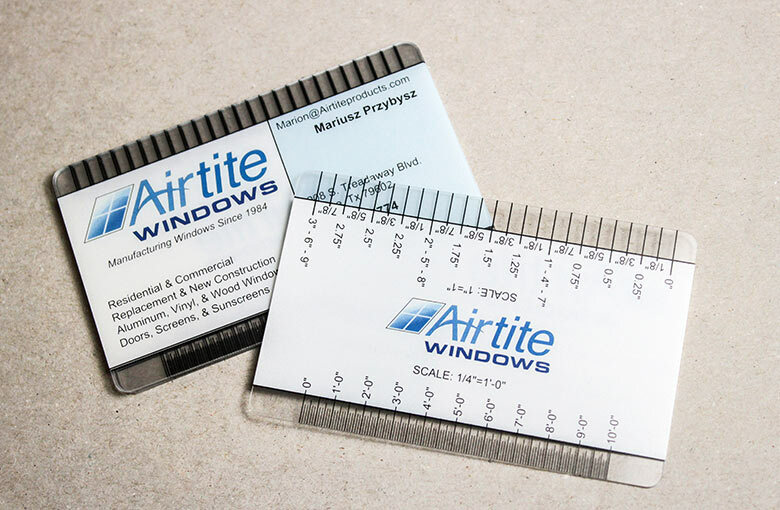 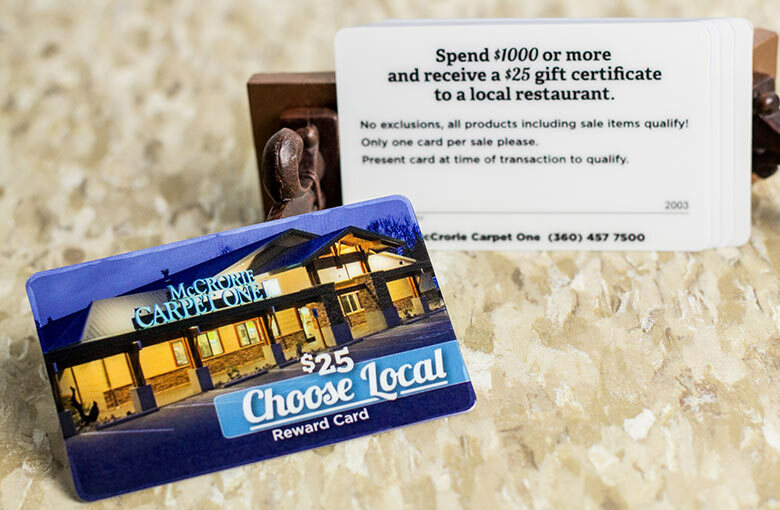 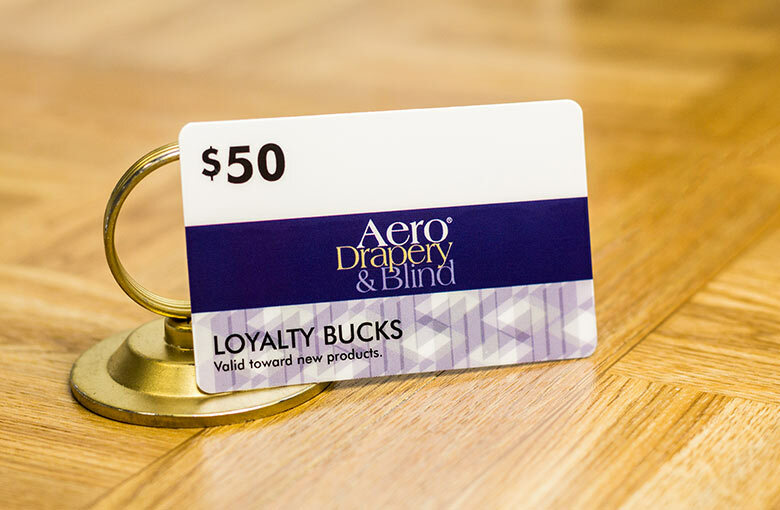 Whether you're on a job site or at a trade show, it's important that your business cards can stand up to rough conditions. 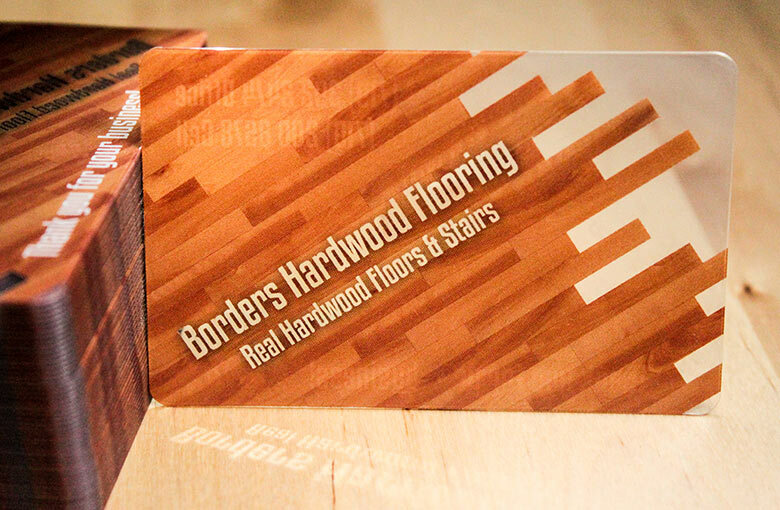 Create a unique look with cards that look like metal or wooden flooring, or add clear accents to make your cards stand out. 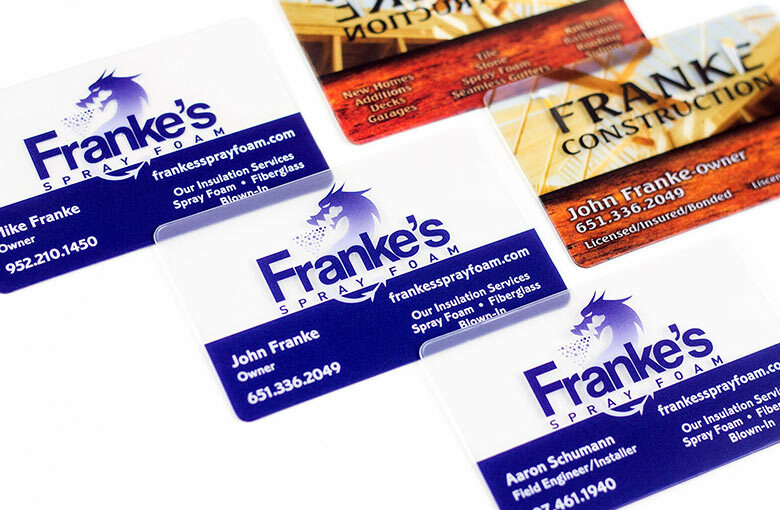 Don't forget to ask how variable printing can help you save on marketing materials for your business.